Picturecrossing: The Blog: PX No.403 "Chocolate festival, Mons, Belgium"
PX No.403 "Chocolate festival, Mons, Belgium"
PX No.403 "Chocolate festival, Mons, Belgium", a photo by LANCEPHOTO on Flickr. picturecrossing No.403 (EZ No.89) Chocolatiers arrange an elaborate display during the annual Chocolate Festival in Mons, Belgium. 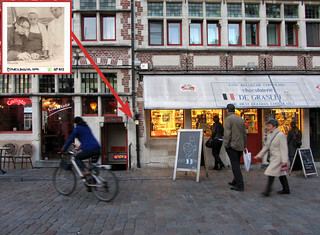 "I found one of your art-pictures in Gent next to the chocolate store. 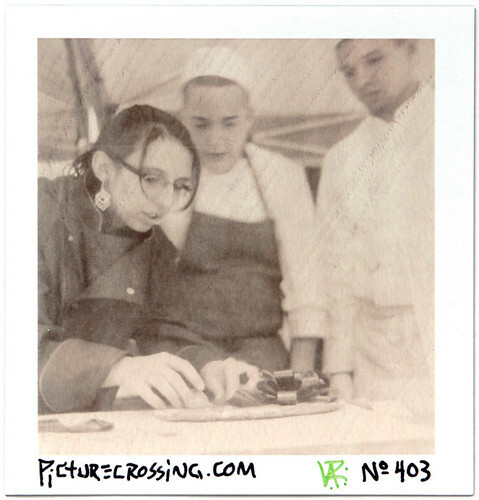 nr 403 hope to see more of you"
...confessions of a Polaroid addict. Have you found one of my Polaroid pictures? I'm leaving them at random locations throughout the world. Sometimes I leave them near where they were taken. Other times they are left far away. Each of them is a one-of-a-kind piece of artwork. Please contact me to find out more about them and tell me the story about how and where you found it. Then you may keep it, or leave it somewhere else for another person to find, thereby sending each little captured frame on its own journey, giving infinite life to that one moment in space & time. There you can browse all the PICTURECROSSING photos, see where they were left and read their stories if they have been found yet. You may also shop in my gallery of other photographs.